Some time back, my friends, Mark Trichka (mandolin) and Lisa Brande (fiddle and harmony vocals), recently stopped by on a visit through Nashville, traveling on their way from Vermont to Alabama (and then on to Florida and Louisiana). We opened up a bottle of wine and turned on the recording machine. These MP3s are a few mixed down versions of our little live jam session. Enjoy! St. James Infirmary Blues - This is the classic New Orleans song about love and death. (Click to play). Too Soon to Tell - This is an original song that I wrote a while back. Lisa sings the angelic harmonies (Click to play). Wagoner's Lad - This song probably has 18th century British Isles roots, but dates at least to the early 19th century. The lyric records dialogue between a young woman and her boyfriend who has to leave her for his work (Click to play). 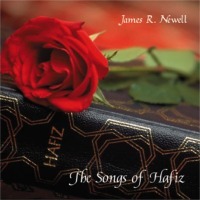 The link below is for an MP3 of the title track of my CD The Songs of Hafiz. Mark Trichka (see above) plays mandolin. The Songs of Hafiz - (Click to play). 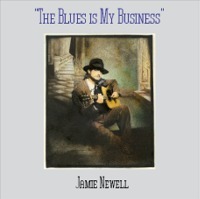 The links below are from my 1992 recording, The Blues is My Business which is now available on CD for the first time. All of the tracks were performed live at Nightingale Studios in Nashville, TN. Maya - (Click to play). At the Mercy of the Blues - (Click to play).